According to Dr. Craig Farnsworth, “consistent tempo is the only way to consistent ball striking, whether it is a putt or a drive.” Improve your tempo with the lightweight, convenient metronome that we reinvented for golf. 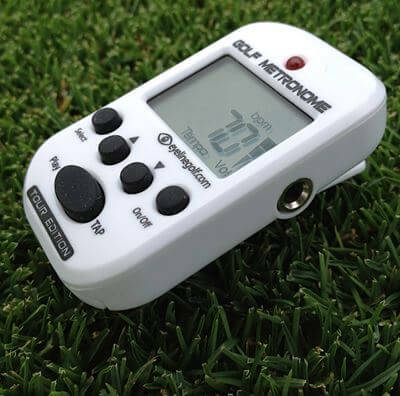 The EyeLine Golf Metronome Pro has adjustable volume so you can work on your game without disturbing other players. Your selected tempo is shown on the digital screen. Find your most comfortable tempo, and return to it day after day.